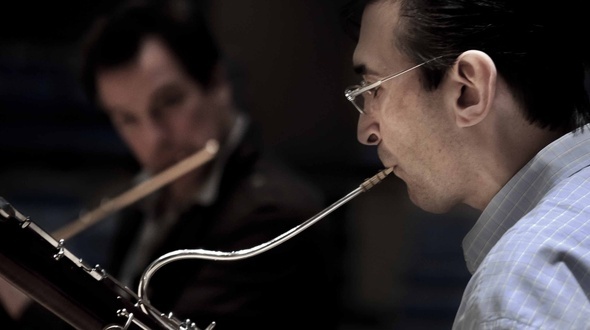 Gustavo Núñez is considered one of the leading bassoonists of his generation. He has been the Principal Bassoon at the Royal Concertgebouw Orchestra in Amsterdam for over 20 years and holds a professorship at the Robert-Schumann-Hochschule in Dusseldorf and the Amsterdam University of Arts. Núñez was born in Montevideo, Uruguay where he received his first lessons from his father and gained his first orchestral experience in the Simón Bolívar Symphony Orchestra. Aged 16, a grant enabled him to study in London and later-on with Klaus Thunemann. While still studying, his exceptional talent was recognized by winning the Prix Suisse at the Geneva International Music Competition and first prize at the Carl Maria von Weber Competition in Munich, whereafter he was appointed Principal Bassoon with the Bamberg Symphony in 1989. Get guided through one of the most popular and most beautiful bassoon pieces of all times: the Telemann Bassoon Sonata. Gustavo Nüñez is principal bassoon with the Royal Concertgebouw Orchestra in Amsterdam is is considered one of the leading bassoon artists of today. 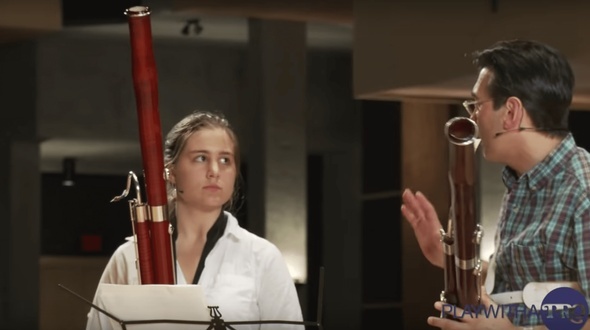 Watch Royal Concertgebouw´s Principal bassonist, Gustavo Núñez teach one of the core pieces in the bassoon repertoire, " Nussio´s Arietta on a theme by Pergolesi ". Get insights, inspiration and knowledge from one of the finest bassoon teachers and musicians around. Gustavo Nuñéz was born in Montevideo, Uruguay in 1965. Gustavo Nuñéz was awarded in the International Competition in Geneva and won the Carl Maria von Weber Price in Munich, both in 1987. In 1988 he played at the Opera House in Darmstadt and in 1989 he was appointed principal Bassoon with the Bamberg Symphony. In 1995 Gustavo Nuñéz joined the Royal Concertgebouw Orchestra in Amsterdam, as it's principal Bassoon. Gustavo Nuñéz was a teacher at the "Folkwang Hochschule" of Music in Essen, Germany, and since 1999 he holds a professorship at the Robert Schumann Academy of Music in Dusseldorf, Germany. Bring your playing to the next level for your next concert or audition.5 of the most common orchestral bassoon excerpts taught by one of today's finest bassoon players and teachers, Gustavo Nüñez, principal bassoon of The Royal Concertgebouw Orchestra in Amsterdam. Print out the pdf with the sheet music to follow and play along. Gustavo Nuñéz was born in Montevideo, Uruguay in 1965. Gustavo Nuñéz was awarded in the International Competition in Geneva and won the Carl Maria von Weber Price in Munich, both in 1987. In 1988 he played at the Opera House in Darmstadt and in 1989 he was appointed principal Bassoon with the Bamberg Symphony. In 1995 Gustavo Nuñéz joined the Royal Concertgebouw Orchestra in Amsterdam, as it's principal Bassoon. Gustavo Nuñéz was a teacher at the "Folkwang Hochschule" of Music in Essen, Germany, and since 1999 he holds a professorship at the Robert Schumann Academy of Music in Dusseldorf, Germany. 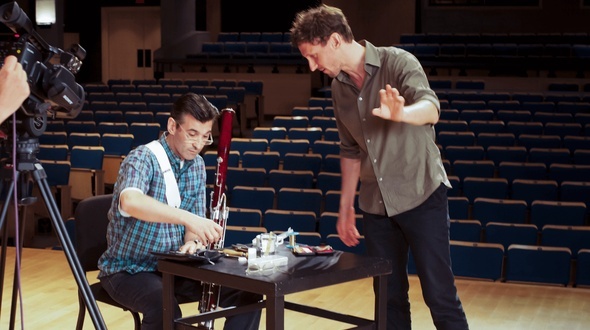 Learn how one of todays most celebrated bassoon players- Gustavo Nüñez - makes his reeds. 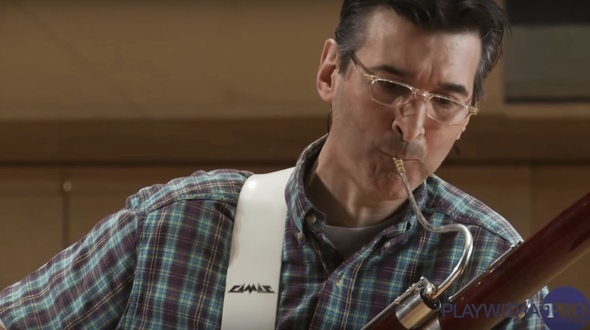 All the small tips and tricks that by the end of the day makes the big difference of how the reed plays.Gustavo Nüñez is considered one of the best bassoonists of his generation. Gustavo Nüñez was born in Montevideo, Uruguay in 1965.Gustavo Nüñez was awarded in the International Competition in Geneva and won the Carl Maria von Weber Price in Munich, both in 1987. In 1988 he played at the Opera House in Darmstadt and in 1989 he was appointed principal Bassoon with the Bamberg Symphony. In 1995 Gustavo Nüñez joined the Royal Concertgebouw Orchestra in Amsterdam, as it's principal Bassoon. Gustavo Nüñez was a teacher at the "Folkwang Hochschule" of Music in Essen, Germany, and since 1999 he holds a professorship at the Robert Schumann Academy of Music in Dusseldorf, Germany. Get to know one of the world´s finest basson players- Gustavo Nüñez- principal bassoon of the Royal Concertgebouw Orchestra in this exclusive interview where he speaks about life as a musician in a top orchestra. Gustavo Nüñez was born in Montevideo, Uruguay in 1965. Gustavo Nüñez was awarded in the International Competition in Geneva and won the Carl Maria von Weber Price in Munich, both in 1987. In 1988 he played at the Opera House in Darmstadt and in 1989 he was appointed principal Bassoon with the Bamberg Symphony. In 1995 Gustavo Nüñez joined the Royal Concertgebouw Orchestra in Amsterdam, as it's principal Bassoon. Gustavo Nüñez was a teacher at the "Folkwang Hochschule" of Music in Essen, Germany, and since 1999 he holds a professorship at the Robert Schumann Academy of Music in Dusseldorf, Germany. The class consists of: Warm up Routine, Attack of Notes, Double Tonguing, Vibrato, Production of Air, The Embouchure. 5 of the most popular Orchestral bassoon studies on auditions: Rite of Spring, L´elisir d´amore, Boléro, Figaro, Scheherazade. 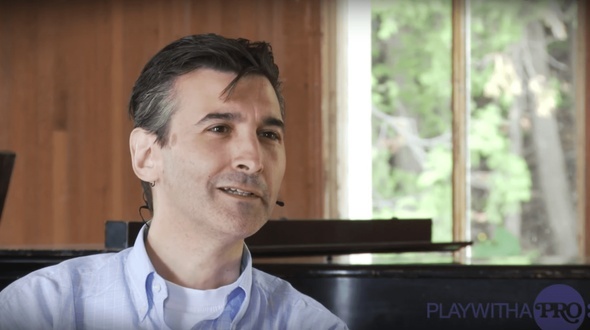 Get the full 46 min interview with one of Europe's finest bassoonists, Gustavo Nüñez, explaining ideas, concepts and history of bassoon playing.